Be a part of our Avocado Watch Network. No one can be in every city hall at once. But all of us can, together. We rely on our statewide network of grassroots organizers to keep tabs on the 58 counties and 482 cities in California. With so many cities to watch, its easy to see why enforcement is so difficult. Join CaRLA now and be among our first 50 members to receive special recognition in our upcoming 2018 Annual Report. The state of California’s department of Housing and Community Development (HCD) has a budget just under $1M. This gets them seven staff members who must assist with and keep oversight of the housing strategies of all counties and cities in the state of California. Even with seven staff members, the department lacks the capacity to thoroughly vet every city’s housing element, let alone track down every violation of housing law. In contrast, CaRLA has a much smaller budget that pays for three full-time staff members and roughly 6 lawsuits per year. We are quick to suss out violations of housing law; often times these cases are referred to us by state officials because HCD doesn’t have the capacity, but even that doesn’t catch everything. Much of our operating funds come from large grants; your membership helps us depend less on this unstable, unpredictable source of funding. 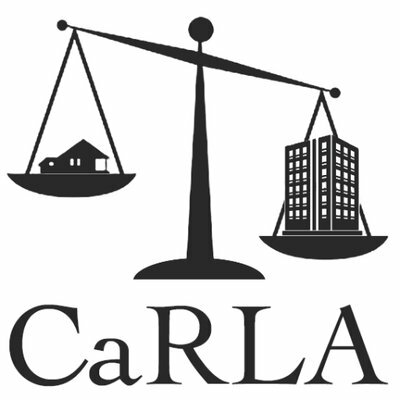 Members of CaRLA keep an eye out for potential violations of housing law as part of our Avocado Watch Network. They read our newsletter, answer our calls to action, and participate in our community discussions via slack or email. When we file lawsuits for violations of state housing law, we ask our Avocado Watch Network volunteers to become local plaintifs. Joining the Avocado Watch is easy! Simply sign up for a monthly recurring contribution using the Join Now button on this page. Individuals who contribute $50 or more per month receive a special Avocado Watch badge before they are unveiled to the public in early 2019. It is easily viewable from afar by any city councilor sitting on the dias.